Most well known for his nine-episode stint on the hit Nickelodeon series The Thundermans, he was cast in the role of Young Anthony DiNozzo on CBS' NCIS. 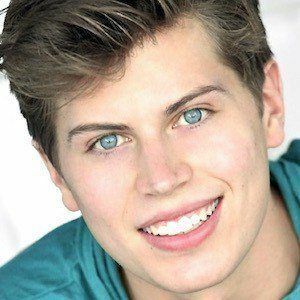 His acting career began on stage at a young age at the Des Moines Playhouse. He appeared in two episodes of Haunted Hathaways, one in 2013 and one in 2014. Born in Denver, CO, he relocated to Des Moines, Iowa at the age of 8. He moved to California after high school. He has two younger brothers, Chase and Dawson. He guest-starred in an episode called "Food Fight" of the show I Didn't Do It, which starred Olivia Holt.